This collaborative styled shoot was orchestrated by insanely talented Belovely Floral Design team. 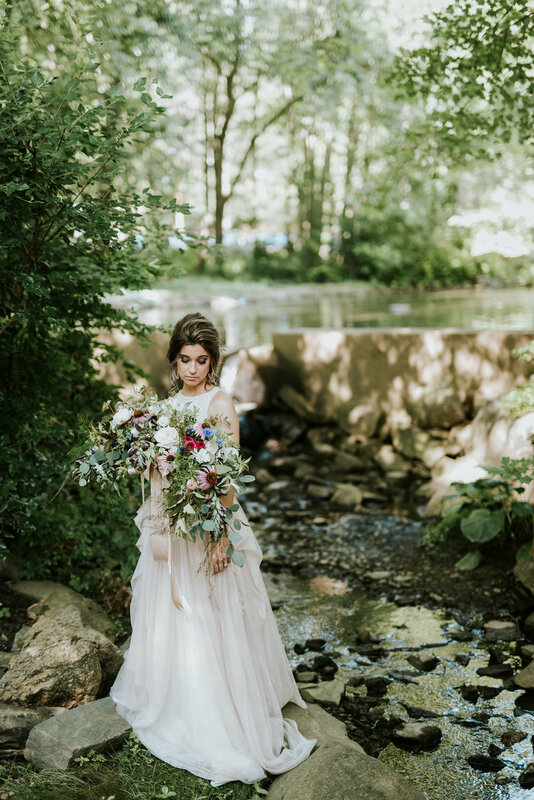 They brought together an event designer, planner, photographer, florist, baker, bridal gown designer, glam squad and luxury rental & linen companies to form a woodland fantasy dream team! All contributors tagged below images.